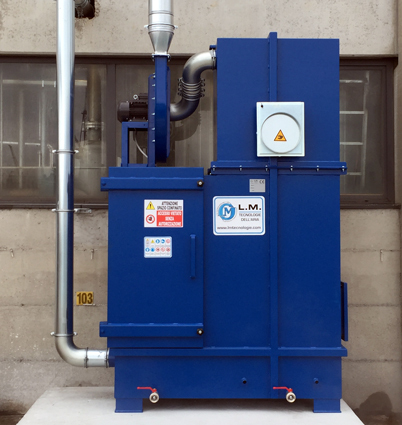 Thanks to its twenty years’ experience in the field of air extraction systems, L.M. 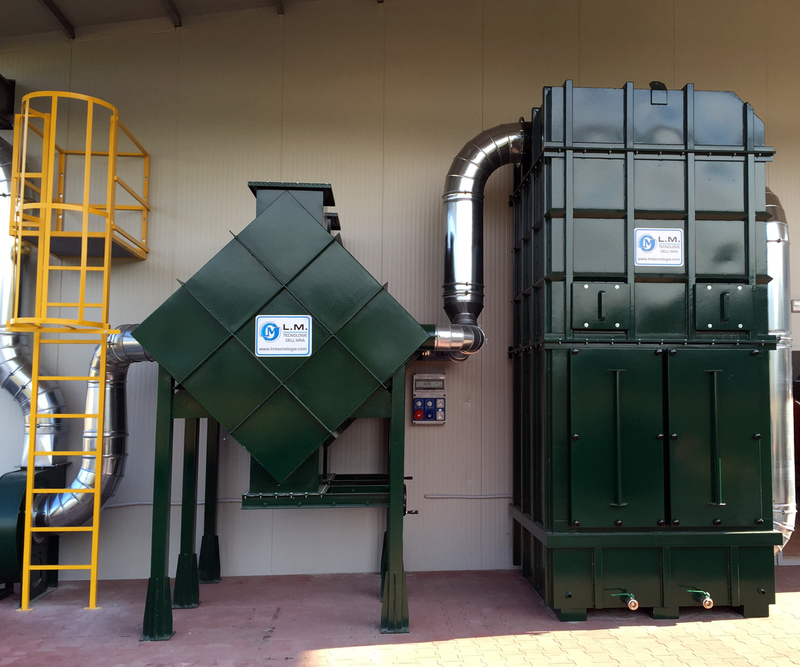 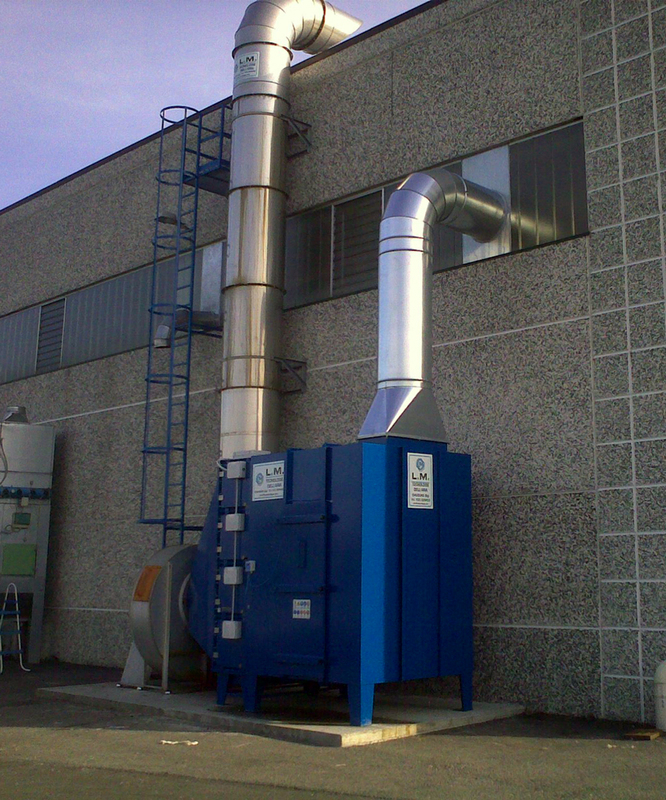 Tecnologie dell’Aria is able to offer its own technology to treat fumes and mist produced by any type of machine (presses, machine tools, etc.). 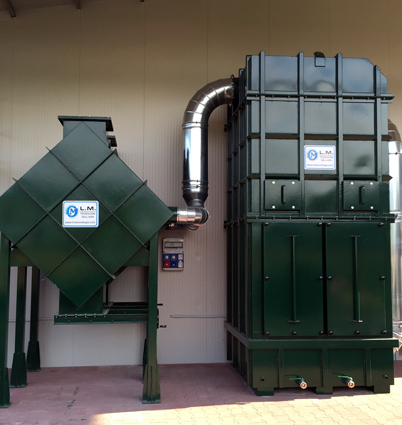 Amongst other things, these techniques enable all the pollutants present in the air to be eliminated (such as oil or impurities in the air). 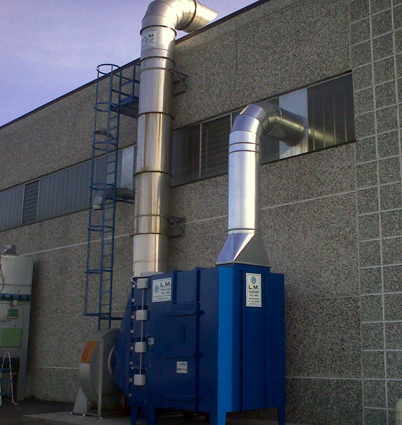 the separation by coalescence of the particles of oil sucked into the air. 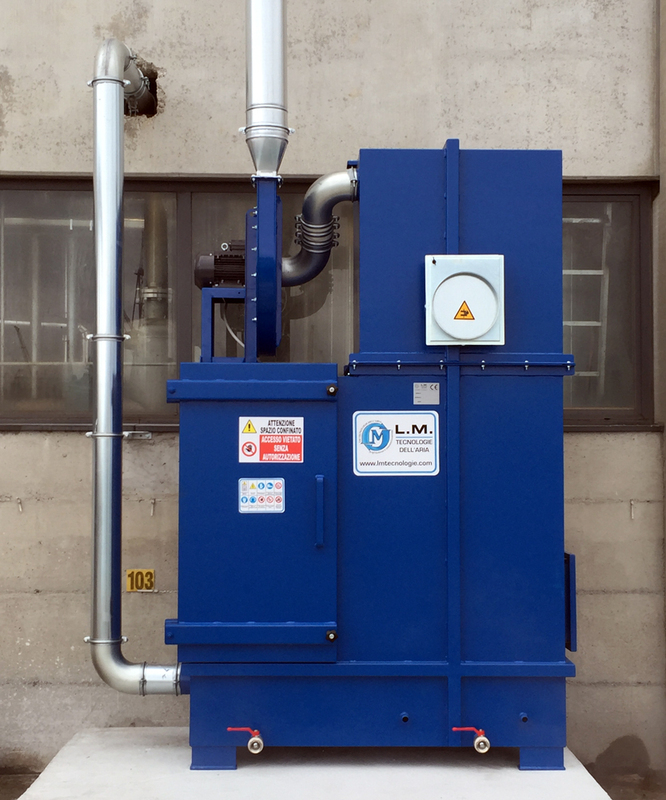 This operation reduces the quantity of particles of oil in the air to a very low level and it is fundamental in hot–pressing and machine tool processes.